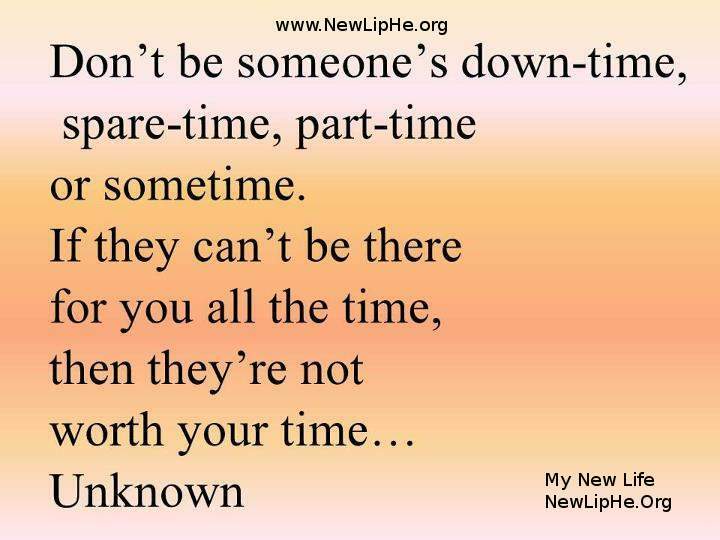 In your life there are some people who are just not worth your time. They leave you feeling drained, tired, depressed or upset. The best response to these kinds of people is just indifference. In other words, ignore them! Don’t spend your life energy hating them, or getting mad, or feeling bad… Life’s too short for that! You better just ignore them so you can focus on the vibrant spiritual person you know you are! Remember that everyday you are making a New Life! Your Life matters, it is important, it is alive with wonder, gratefulness and awe!